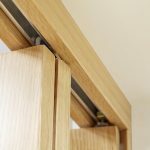 The NUVU Oak 4L Roomfold with clear glazing is a fantastic option if you want to enjoy all the advantages of open plan living but also allowing you to create a snug cosy room when needed. 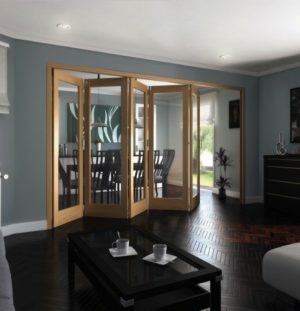 This set comes unfinished which gives you the option to match your existing colour scheme. 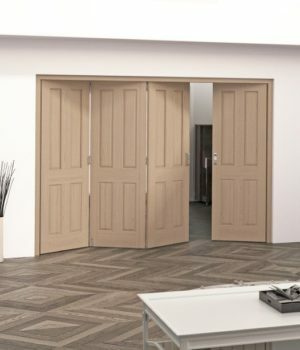 These are available in 3, 4, 5 and 6 door options and, using 533mm, 610mm, 686mm door widths. 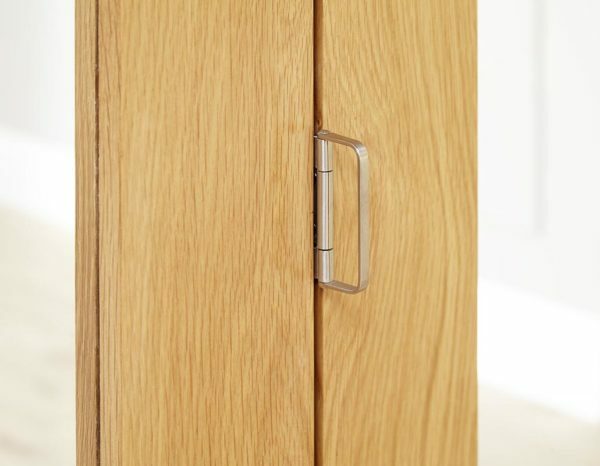 Your kit will come with full instructions which we recommend you read before installing. 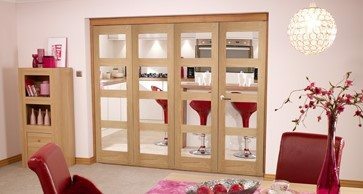 This is a top-hung system and because there isnt a bottom floor track your flooring between the rooms can remain uninterrupted. 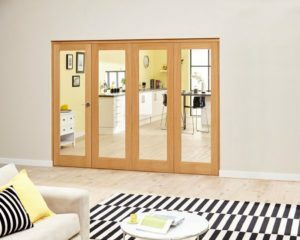 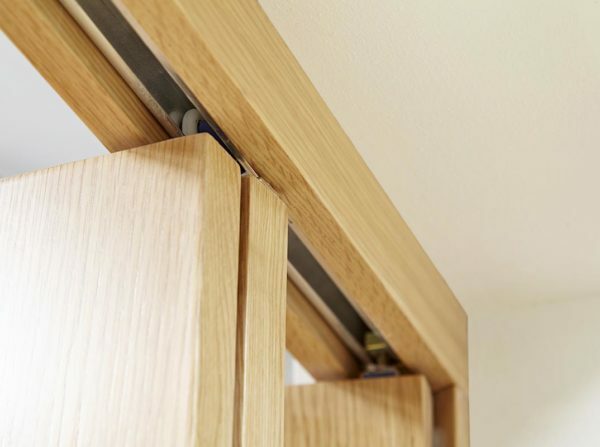 All of our doors are supplied with a pack which includes the frame pack (supplied unfinished, so you can match it to your architraves and skirting boards), doors, hinges, running hardware and head track. 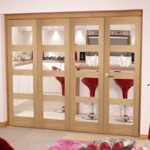 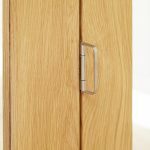 However, we dont supply the door sets with drop bolts or door handles to allow you to match the existing ironmongery in your room.